Most people only need one credit card, two at a maximum. If you have got into a tricky situation where you have multiple credit cards and you owe money on each one, then you may need financial help. It’s not a bad idea to talk to a financial expert and get advice on how to pay off your credit cards. Take a look at your multiple credit cards. If there are any that you genuinely can manage without, pick up the scissors right now. Cut that one up. Then, try these few tricks to help you manage multiple credit cards and to work out how to pay off the debt. When people have multiple credit cards they often get into trouble with the repayments. Debit piles up. It’s important to pay off as much as possible every month, so that the interest is reduced. There is a way to manage multiple credit cards and rather than get into trouble, make sure to pay the minimum monthly repayment fee. Pay off the credit card with the smallest debt, then close the account. Pay off the credit card with the highest interest rate as soon as you can. Something as simple as going through your bank statements will help. Get on top of how much money you owe and how to pay off the debt. Your statement will tell you how long it will take to repay each balance, if you have multiple cards, and will tell you what your minimum monthly payment must be. If you have multiple credit cards, perhaps you need advise from a deb councillor. There is nothing wrong in asking for help. Rather ask for help earlier than later. A debt councillor will tell you how to pay off your debt from multiple credit cards and he will advice you how to manage multiple credit cards too. You have to deal with your debt. Don’t ignore it, because that is when the problem gets much worse. 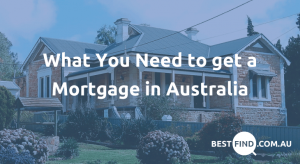 You can go to your bank, or banks, make an appointment with your bank manager (you may have various bank managers if you have multiple credit cards) and ask them for advice on how to pay off the money. If they have given you the multiple cards, they need to tell you the best way to manage multiple credit cards. Once you are back on track, only keep one credit card. Having multiple credit cards may be very appealing when you are buying a car, sending the kids to school, need that winter jacket or just need a little extra money to tide you over each month, but multiple credit cards can also get you into trouble. Moreover, multiple cards can mean multiple annual fees, which could up at to hundreds if not thousands of dollars. Debt is not exciting and one of the best and most powerful things you can do, is learn how to manage your money. Before you do either you may want to look into your credit score, to get an idea of what your bank sees and to understand the strength of your application. You may also want to read our tips on getting your personal loan application approved. Also, remember that every time you apply for credit, that it will leave a mark on your credit file and it will reduce your credit score. If you choose to get a personal loan, you will want to ensure that the comparison rate (the interest rate that’s inclusive of all fees) is lower than your current credit card interest rates. It is also wise to call up the lender before applying, to assess the likelihood of your application being successful. The operator will not be able to give you a definitive answer (that’s the job of the underwriting team) – but they will quite likely, give you some helpful hints. If you choose to do a balance transfer, be mindful that there’s often a fee of around 3% of the outstanding balance. If your credit cards are nearly maxed out, the likelihood of you being approved is considerably reduced. Lastly, if your balance transfer is successful – be sure to cut up and cancel those other credit cards. 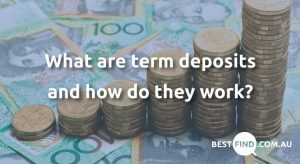 What is a term deposit and how does it work? 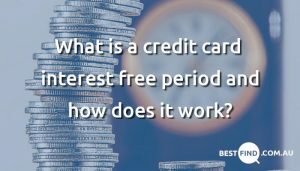 What is a credit card interest free period and how does it work? What documents do I need to provide when applying for a personal loan?